The Quilt Study Group have advised the Guild of the inspirational line up of speakers that are organised for 2015. Judy Day is an internationally acclaimed quilt maker who has made many reproduction and miniature quilts such 'Moxley', 'Autumn Leaves', 'Dancing Dollies', 'Auntie Green's Coverlet' and 'Shellbourne Wreath'. 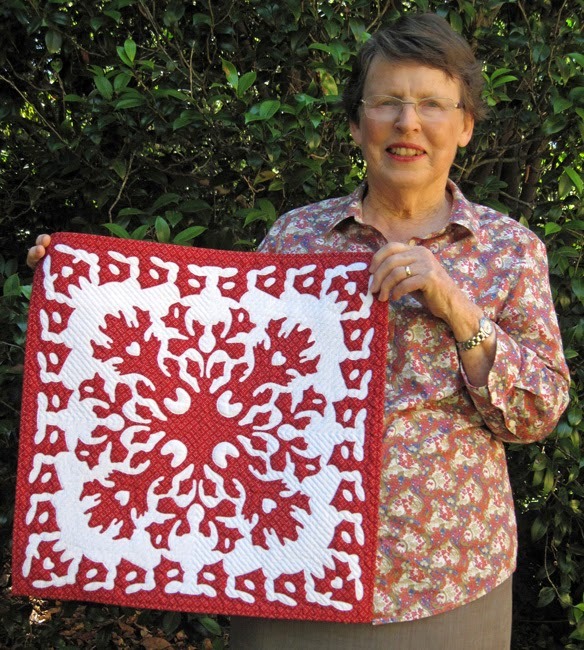 Come along to hear Judy speak about Miniature Quilts and see her collection at the Quilt Study Group of NSW talk. The talk will start at 2pm on Saturday 7th March 2015. The venue, The Meeting Room at The Glover Cottages, is at 124 Kent Street Sydney and is an easy 10 minute walk from Wynyard and Circular Quay train stations. Entry is $5 for Quilters' Guild members and $10 for others. The first meeting this year for The Quilters' Guild of NSW Inc will be held next Saturday in 'The Function Room' (First Level) at Burwood RSL. Purple and Aqua Mosaic 8 Inch Block of The Quarter. Just some of the blocks that will be "won" during the BOQ Draw. Our Guest Speaker will be the exuberant and creative Mixed Media Artist, Fiona Hammond. No stranger to awards for her creative textile pieces, Fiona is sure to interest all members with her talk "Fabric = Fun - my inspirations and passions with quilting and textile arts"
Knowing that Fiona has a lust for vibrant colour and texture, be assured that her presentation will be a visual delight, and is sure to encourage us all to think beyond a traditional approach to our own creativity. The "Guest Shop" being showcased at the February Meeting will be "Kate Quilts" : Contemporary / retro fabrics for modern quilters. Demonstration Update : The Accuquilt Cutter Demonstration has been postponed. The 'Demonstration' will cover “How to submit online, a Sydney Quilt Show Entry”. The online facility is a new strategy for the Guild and has been introduced to meet member requests. The Guild would like to encourage as many exhibitors as possible to switch to online entry. Deborah Laurie will be explaining all details to attendees. Deborah will also answer any questions that members have regarding their quilt show entries and any copyright related issues. Should there be a concern regarding the design of your quilt show entry, then please bring along the quilt, photo and/or the inspiration/design source and Deborah will be happy to discuss this with you. Thanks to Brenda Gael Smith for her preparatory work on this presentation. "Please note, For those who are lucky enough to "win" Lucky Door prizes, be advised that Those who remain at the meeting shall collect their prize; however, those who have left their ticket with a friend will need the friend to collect the prize as no prizes will be posted to recipients from the office in the future." Venue - FUNCTION ROOM - left of stairs - not "The Dome"
Please remember to bring your own coffee mug. Want to learn some New Tricks? The Workshop fairies on the Management Committee of The Quilters' Guild of NSW Inc., listen very hard to the many suggestions and ideas that members request, in order to create an interesting schedule for the upcoming year's programme of workshops. It has been such a coup to engage Sue Dennis as the next Tutor. Textile artists who are teachers, usually have a busy interstate and overseas programme of commitments and "the fairies" need to book internationally recognised Tutors and Art Quilters such as Sue Dennis, well in advance. It might be several years before Sue can commit to attending our Guild as a Tutor, again. Thus why not phone the Guild Office NOW to ensure that you don't miss out on learning some 'New Tricks' from one of Australia's highly regarded Textile Artists. Sue has an extremely engaging manner and is a gifted tutor, so come and learn form her, as you explore how to make your own exclusive fabric, having visual texture, pattern and tactile energy. If you've always wanted an excuse to explore fabric paints with out embellishing your own kitchen table, then come to The Epping Creative Centre and "paddle" to your hearts content! 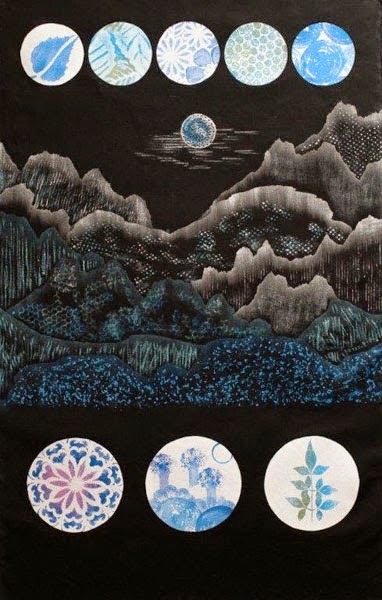 Learn more about the design techniques of printing and rubbing, and colour mixing to create "individual" fabric samples to use in later projects. Further information about Sue's Workshop can be found on the Guild Website. Please Book Now to avoid missing out! Members had to almost resort to sharing chairs at the recent February Friday Showcase, as the Guest appearance of Deborah Laurie proved to be a very popular choice of Speaker indeed! Calmly unfolding spectacular quilt after quilt (and all only created in the past 11 years), Deborah had all attendees absolutely entranced by her neat stitching, delightful colour composition, and quilting and family anecdotes. Deborah was extremely generous in her explanation of techniques and favourite sewing supply information. Not too many attendees have become award winners in such a short Quilting Journey as Deborah and her happy, yet modest conversational style was appreciated by everyone. Several of her quilts are now on display in the Guild Office, and will remain there until the next Friday Showcase on March 6th. At that gathering, Jan Foster, one of the dedicated Friday Showcase Organisers and owner of redshedquilting will share her personal creative adventures. 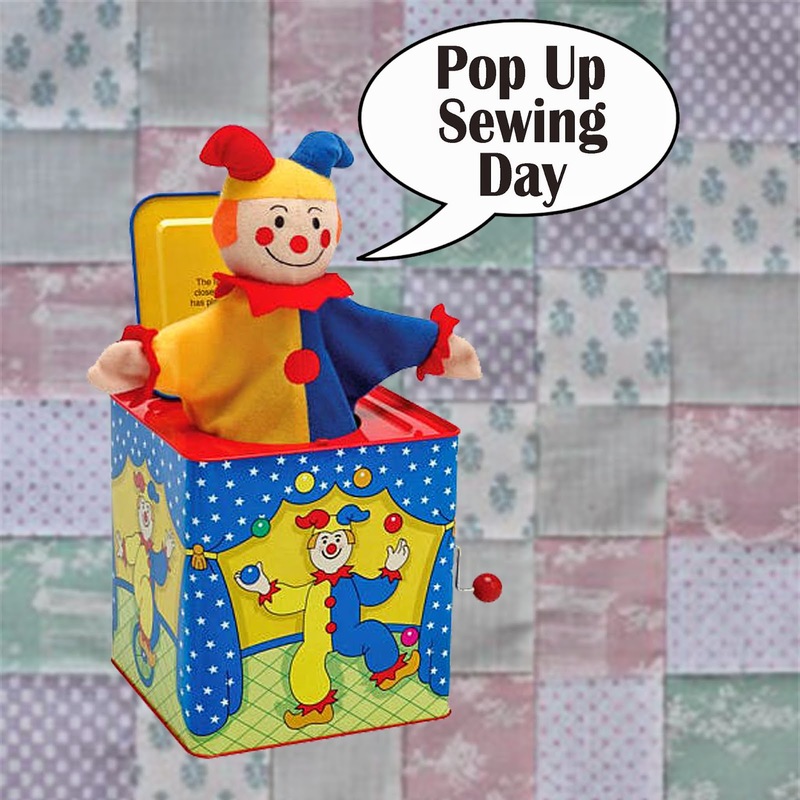 The First Pop-Up Sewing Day to be organised by The Quilters' Guild of NSW Inc. will be held at Quiltsmith 10.00am - 4.00pm 17th March. Bookings are essential for our first informal gathering at this well known Sydney Quilt Shop. Not only is there is no charge for the day, morning and afternoon tea are provided! What is hoped to become a regular calendar event at various quilt shop venues across the city, this initial Pop-Up Sewing Day needs enthusiastic (Guild Members only) supporters, so that further Pop-Ups can be arranged. NOTE : Hand sewing only at this particular venue. As Quiltsmith offers Guild Member's Discount for any 'full-price' merchandise sales on the day, please remember to bring your current membership card. Parking in the local Annandale Streets can be difficult, so please car-pool or catch the bus! Buses from Wynyard Station along George Street, City to Parramatta Rd intersection with Nelson Street are 436, 438 and 440. Buses from Sydney Town Hall that have a George St, Parramatta Rd and Booth St / Nelson St intersection route are 436, 439, 470 and 480. Alternatively Phone 131500 to gain alternative Public Transport information. Please phone the Guild Office to make a booking, as it's a "first come- first served" scenerio. Entries are open to quilters and fibre artists from all Australian states and territories. Membership of the Guild is not a requirement of entry. Entries must address the theme "Evolution, Change, Challenge : A Contemporary Quilt" and measure 70x100cm (WxH) portrait format. The guild exhibition is being held in conjunction with a curated exhibition of quilts at Hazelhurst Community Gallery. Entry is via online entry form only and an entry fee of $25 per quilt is payable. Come along and hear our special, internationally recognised Guest Speaker, textile artist and quilter Jan Irvine-Nealie talk about her quest for "Realising a Personal Style". She will talk about "the thread of journey that follows the sequence of choices and preferences we make for our work and, with reference to my own practice, reflect on the condition of being a maker and finding a sense of self through the making". Jan's talk at this year's Country Meeting in Tuncurry will be the highlight of an adventurous weekend for those members who book the bus trip from Sydney. There are still spaces available! Departing on the Friday Morning, a rolling tour of quiltshops, refreshment stops and passenger pickups ensures a fun and creative start to the 3 day weekend for those who sign up for the road trip! All details can be found in the November "Template" however with only a few spaces remaining, it is time to stop prevaricating and book a seat! Accommodation, Meeting Cost , and Saturday's Lunch are all taken care of, so hop on the bus, sit back and relax, catch up with some hand sewing and laugh all the way to one of NSW's most beautiful coastline destinations. Please contact Deb Laurie ASAP to become one of the members who will be talking about this trip for months to come! The Quilters' Guild of NSW Inc. is excited to offer members the option of an online entry form for the Sydney Quilt Show 2015. 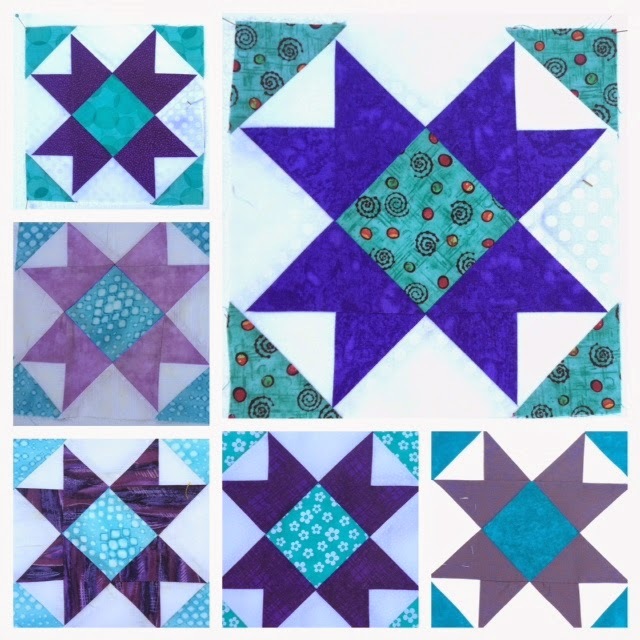 The online form follows the same sequence as the hard copy form and includes sections for: Quiltmaker Details, Quilt Details, Special Awards and Quiltmaker Declaration. The online entry form must be read in conjunction with the Conditions of Entry (download PDF). Our goal is to streamline the data collection process and to make it as easy as possible for members to participate in the annual exhibition. For your assistance, we have prepared some answers to frequently asked questions about the online entry process. See the Guide to the Online Entry Form for further information. Can I pay my entry fee online? How will I know if my online entry form has been received? Don't leave your entry to the last minute, try the online entry form soon! Membership Application Form ( 196KB PDF). Quilt Around The World is an innovative online quilt magazine for quilters around the world. They have notified The Quilters' Guild of NSW Inc of their 2015 Schedule of Events. They start the New Year 2015 with an exciting challenge for all interested quilting friends: Under the motto "50pictures" an inspirational photo featuring one of various nature and man-made motifs will be published on the Quilt around the World website every week as an inspiration for individually crafted miniature quilts. The quilter's task is to interpret one or more of these motifs in the form of a miniature quilt in the course of the year 2015. The main focus is to have fun and be surprised each week - to receive new inspirations for creative patchwork projects. 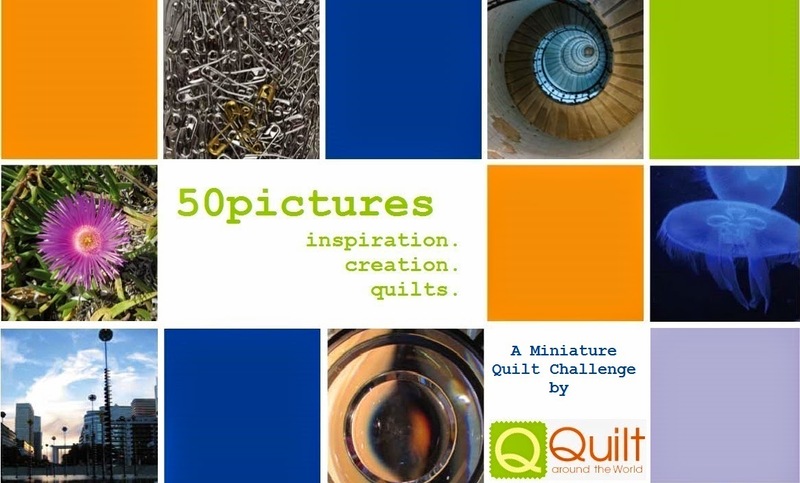 All submitted miniature quilts will first be published anonymously in the 50pictures online gallery during the year. In March 2016, an international jury will select three winning quilts. All participants can decide whether they want to receive individual feedback of the jury members for their miniature quilts. Quilt around the World also plans to present all submitted miniature quilts in an international exhibition. There will also be an exhibition catalog. The participation fee is 25 Euros. The number of submitted miniature quilts is not limited. No Quilt around the World membership is necessary to participate. The net proceeds from the participation fees will be donated to the international humanitarian organization Doctors without Borders. The Competition has already begun with the first 3 weeks of inspirational photos already available for perusal. Week 1 was "Cacti", Week 2 was " Bazaar" and this week is "Seaweed". Inspirational photos will appear each week until 19th Dec 2015. Expertise Events , organisers of AQC, The Stitches and Craft Shows and The Craft and Quilt Fairs Australia wide, and have notified The Quilters' Guild of NSW Inc. of their future happenings in 2015. Their calendar of events kicks off with The Stitches and Craft Show at Rosehill Gardens Racecourse from March 5th - 8th. Access their calendar online to plan your year. Textile artists, designers, textile students and anyone with a love of creative textiles are invited to enter a competition to create a wearable art costume (ensemble). The finalists will be judged at the 2015 FibreFest event in May, and the three winners will share a prize in prize money of $5000! April 10, 2015 Deadline to send entry form, digital images and prints. There is an online entry available, and terms and conditions can also be accessed online.